How to Make Your Quinceañera Feel like a Princess in No Time at All. On this special occasion, your Quinceañera will feel like a princess as she travels around with her friends in our luxurious limousine to the church and reception and any other planned activities. 2. Travel in style. Our limos are polished, shined, and carefully detailed. They are spacious with comfortable leather seats. Your daughter and her friends can listen to music on the super sound system, watch the flat screen TV, and sip sodas from the bar area that comes with elegant stemware. 3. Her chauffeur is totally professional, head to toe. Her driver is well trained and courteous and will make sure these young ladies have the time of their lives. However, they are still under age and need some supervision. Our driver will supervise them wherever they go. 4. It is all about your needs. 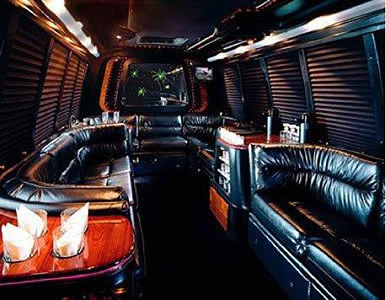 Do you need a normal size sedan or limo for just a few numbers of people, or a big stretch SUV limousine or party buses for a big group of people? 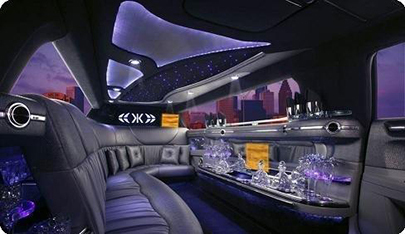 The available limos can effortlessly handle even the biggest sized dresses, which your normal car might not. 5. We have what it takes to handle your flexible schedules. Whether it is just to the church and back or also to a reception, we can work out a schedule that is perfect for you. We can also pick up various friends and relatives as needed, especially if anyone is coming from out of town. Also, a thank you to Paso Robles Limousine who have coached us on providing a great Quinceañera service. 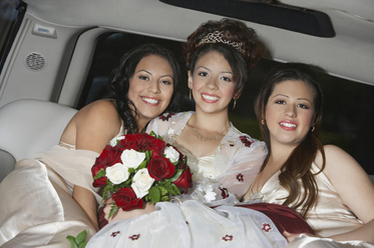 It takes no time at all to finalize your Quinceañera plans for a limo quinceanera. Just fill out the form above on the right and click the "Give me my FREE Quote" button. Alternatively, pick up the phone and call us to work out the details at 410-505-8386.